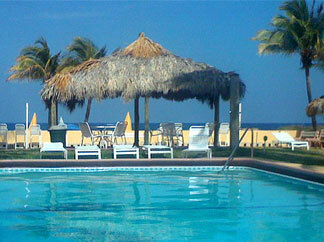 Ebb Tide Oceanfront Resort is a privately owned Atlantic oceanfront resort. 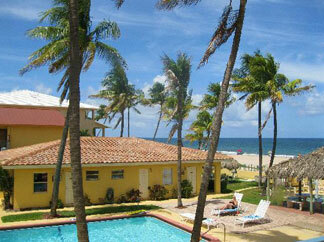 We are located in beautiful Pompano Beach, just minutes from Fort Lauderdale. We have 19 rooms and apartments at the resort, with a relaxed atmosphere, and quiet location that is complimented by a breathtaking view of the Atlantic Ocean. We are conveniently located near shopping and dining. Stay with us in our lovely boutique style resort and feel the ocean breezes. Let the Ebb Tide Oceanfront Resort be your home away from home. If your idea of a great vacation includes surfing, diving the Coral Reefs, fishing, or simply kicking back under a Tiki Hut in your bare feet and cutoffs, then EBB TIDE OCEANFRONT RESORT, is your place to stay! Our beachfront hotel offers affordable rates, including weekly rates and group rates, with all the modern day amenities. Relax and enjoy private gated lodging, take a dip in our heated oceanfront swimming pool, stroll along our sandy beaches! Whether you are planning a wedding, reunion, or weekend getaway, our friendly staff will make sure your stay is special!